Wow! 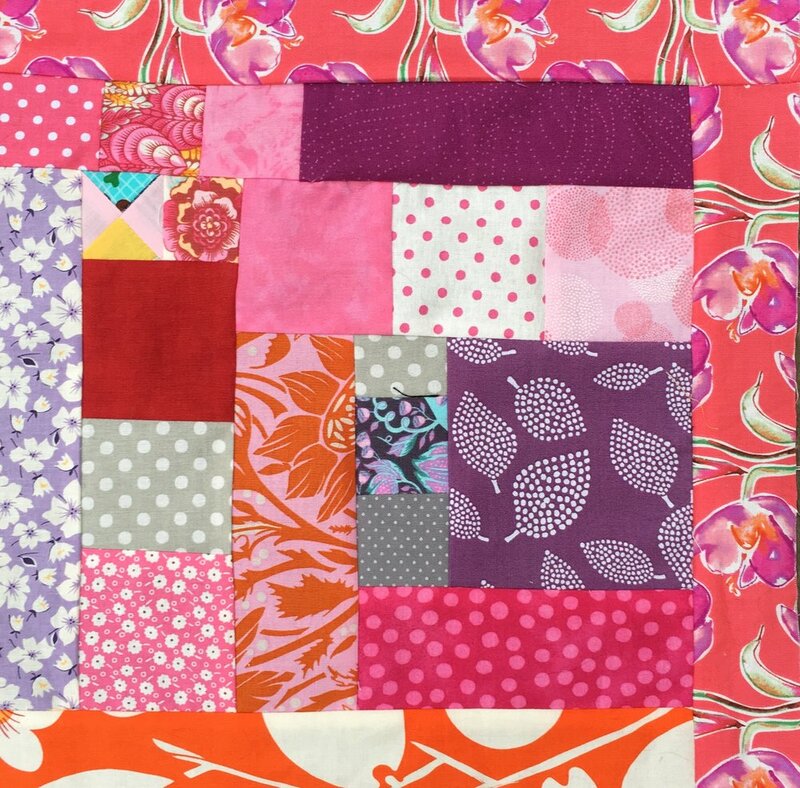 My Improv Scrappy Block Project had a total of 30 blocks that finish at 12 inches square. i took a set of 9 patch variation blocks from on old project that didn't work out and used them as vertical sashing. 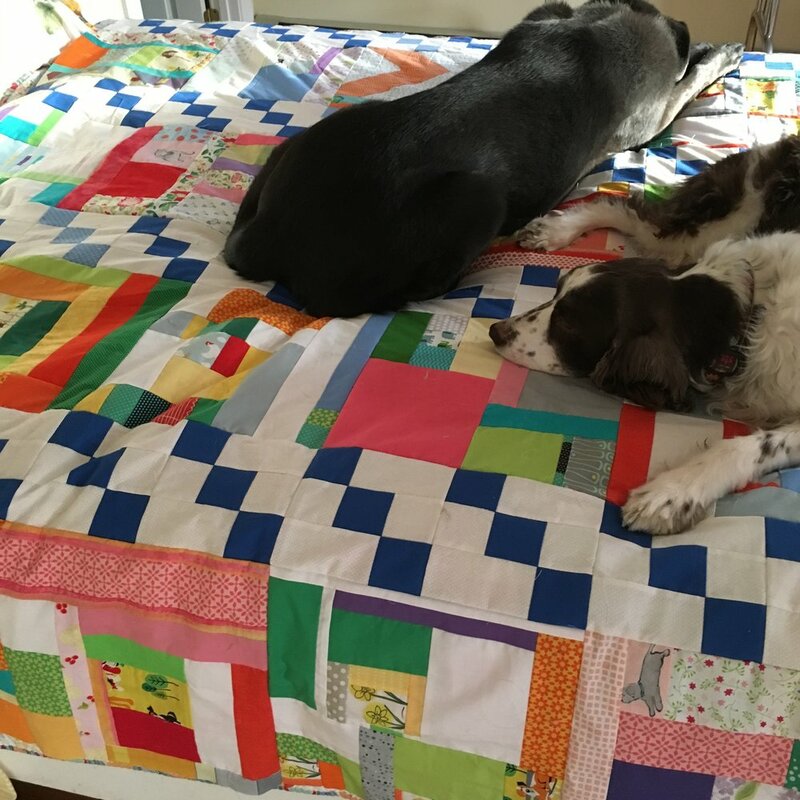 I can't believe this project has turned out to be a queen size quilt! I put it on a bed to see what the top looked like. Two of the dogs instantly gave it their seal of approval! I found a sweet light blue 30's floral feedsack reproduction fabric to use for a backing. 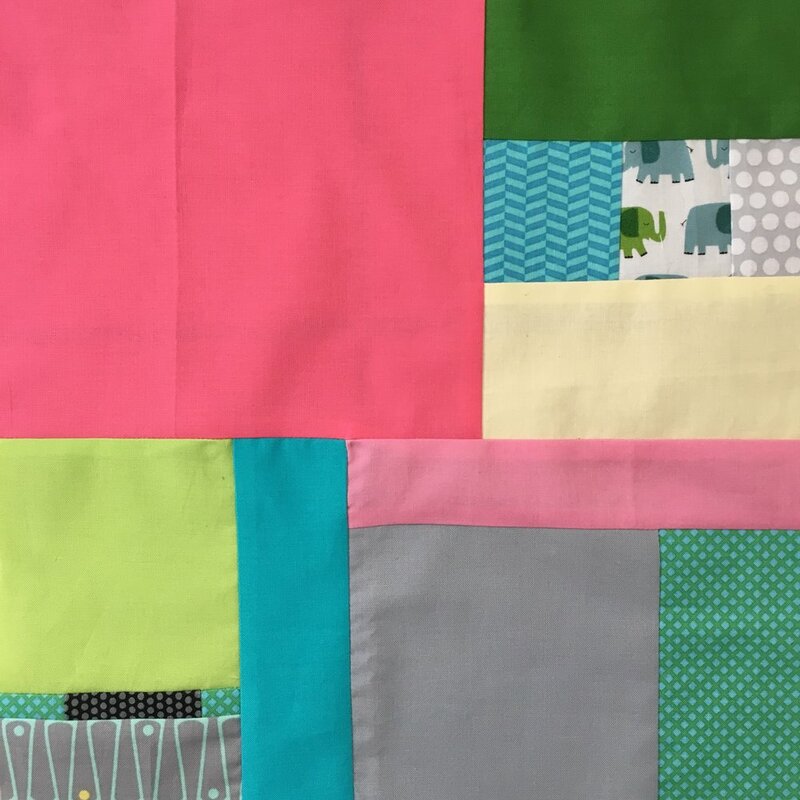 The quilt is all ready to be basted and quilted! I'll do a final post when it is completed. Hopefully soon! May blocks for my Improv Scrappy Block Project 2017. This really sums up the month of May--the last daffodils in the beginning of the month and Memorial Day and the beginning of summer at the end! 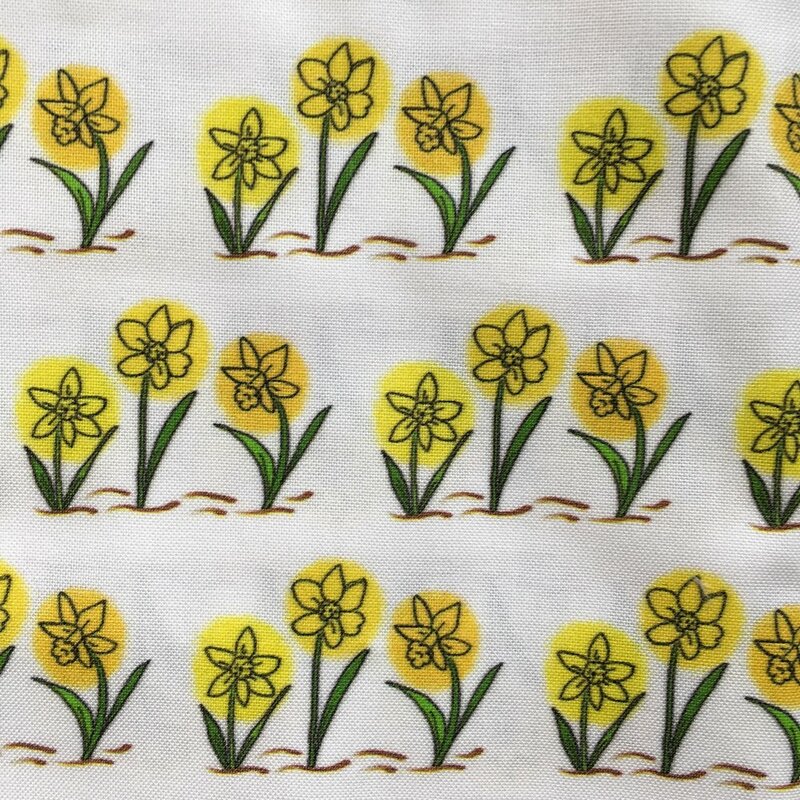 The first block has my newest Spoonflower fabric/wrapping paper, Daffodil Trio. It's available at my Spoonflower.com shop. The preview of the design online look ragged except in the "Test Swatch" but it prints very well. I actually think this design is probably best used as a wrapping paper though I do like the flowers peaking out of this block!